Dardeau grew up on a rice and cattle farm in Ville Platte. His parents were Leonard and Lucy Vidrine Dardeau. Dardeau graduated from Sacred Heart High School in 1956 and attended LSU where he obtained his B.S. and M.S. Degrees. 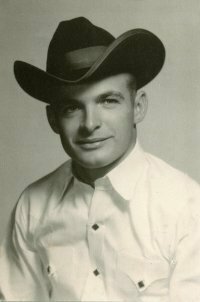 While in college, he was a member of the LSU Livestock Judging Team and LSU Block and Bridle Club. In 1958, he was one of eight college students in the U.S. chosen to spend the summer at Winrock Farms in Arkansas, owned by Winthrop Rockefeller. Following college graduation, Dardeau served in the U.S. Army. In 1963, he married Elizabeth Fontenot. In 1964, Dardeau was appointed assistant county agent in Cameron Parish and later in 1969 in Natchitoches Parish. On July 1, 1970 he was transferred to Vermilion Parish when many technological advances were being made in the rice industry such as new herbicides, insecticides and disease resistant varieties of rice. At that time, many farmers spoke only French. Dardeau's ability to speak French helped the farmers to understand the changes in the market and to adopt these new productive and eco-friendly practices. To further assist the farmers to understand the results of these new practices, farm demonstration plots, with the assistance of the Rice Experiment Station, were set up throughout the parish. Dardeau started a Parish Rice Field Day, which continues today, whereby farmers could see first-hand the recommended practices for local farms. In 1970, crawfish farming was in its infancy with only a couple of thousand acres in production. The practice of double cropping rice and crawfish was relatively new and many cultured practices used in rice production had to be altered. With the Rice Experiment Station leading the way, crawfish and rice became symbiotic and presently many farmers are growing rice because of the supportive crawfish revenue. Dardeau also believed in advisory committees to help plan educational programs that the students in 4-H, homemakers and farmers needed. Dardeau organized a building committee that worked with the Vermilion Parish Police Jury to pass a tax to fund and construct a new extension office and multipurpose building for 4-H livestock shows and other programs. He also helped to organize the Vermilion Parish Rice Growers Association which he served as Secretary-Treasurer for many years. He was instrumental in organizing the Vermilion 4-H Foundation and also served on many state extension committees. Dardeau has been recognized for his outstanding work by receiving the County Agent's Distinguished Service Award and his induction into the Louisiana 4-H Hall of Fame. In 1985, he was appointed district agent for the central southwest area of Louisiana. He retired in 1996. Dardeau and his wife are parishioners of St. Mary Magdalen Church. He has served on Boards of Directors for Mount Carmel Elementary School, Vermilion Catholic High School, and Christian Service Center. Currently he is serving as President of Les Curieux des Vermilion, a social educational organization. In June, 2013, they celebrated their 50th wedding anniversary. They are the parents of four children: Chris married to Ann Kratzer, Michelle married to Todd LaPorte, Paul married to Michelle Norman and Denise married to Richard Muller. They are further blessed with nine grandchildren.